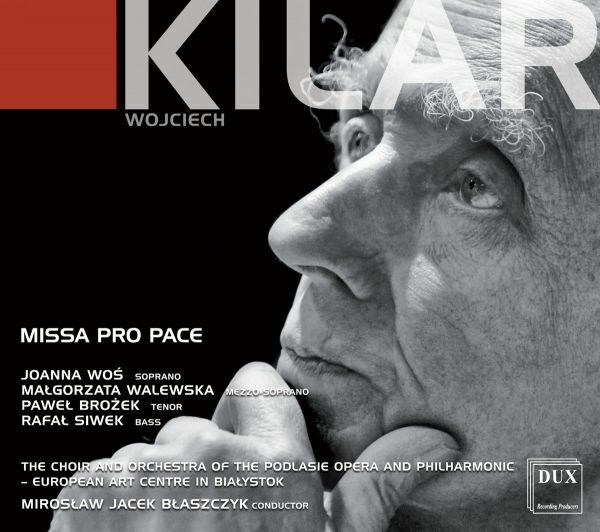 Wojciech Kilar Missa Pro Pace - Good start for polish music. Missa Pro Pace by Wojciech Kilar, composed in 2000 on the centenary of the National Philharmonic, is soaked with the spirit of the medieval church music – the prevailing moods are meditation, contemplation and prayer concentration. At the forefront there are singing and liturgical text, completed with a modest set of simple means of the compositional technique, which is used in order to obtain conscious archaization. The mass was built in the traditional manner, it includes five parts: Kyrie, Gloria, Credo, Sanctus and Agnus Dei, preceded with the organ Introitus, while the climax of the musical course of the work falls on the final fragment of the last link – Dona nobis pacem. In Kilar’s composition, Credo and Sanctus, which usually dominate the whole cycle, are moments of silence and pensiveness.